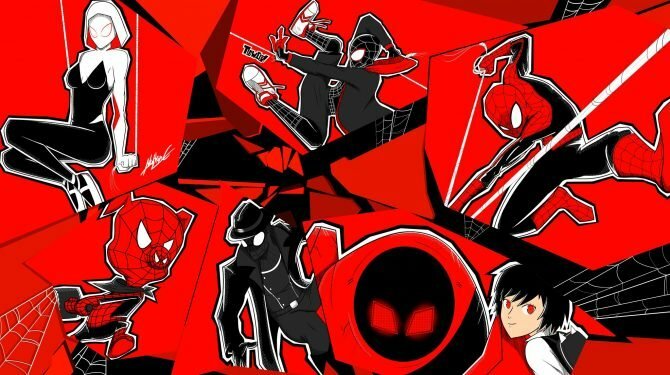 Check out this awesome piece of fan art that shows what a Miles Morales suit could potentially look like in Marvel's Spider-Man. Marvel’s Spider-Man from Insomniac Games was one of 2018’s best games and one of the best things about it was the variety of cool Spider-Man suits available to unlock. From Scarlet Spider to a Spider-Man: Homecoming-inspired one, the suits all did a good job at showcasing the storied history of the friendly-neighborhood wall-crawler. 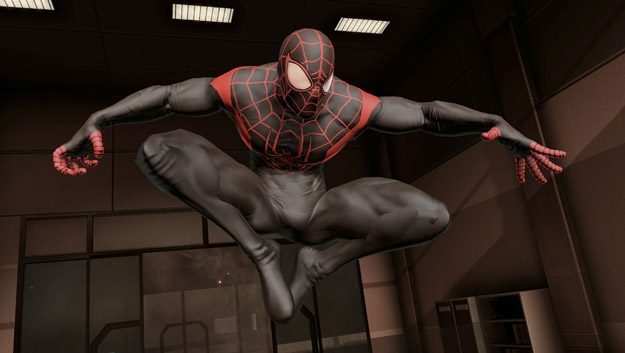 One suit that hasn’t been added yet, likely due to the character’s inclusion in the game, is a suit based on Miles Morales. Fortunately, one dedicated fan decided to create this suit himself. Reddit user and Marvel’s Spider-Man fan Sandevi recently posted his take on a Miles Morales suit to the game’s official subreddit. It apparently took him over four hours to create and is based on a previously released screenshot of Marvel’s Spider-Man. Their Miles Morales suit is ultimately pretty faithful to the comics, though it is, of course, designed to fit Peter Parker’s proportions instead of Miles’. A version of this suit was also recently featured in Spider-Man: Into the Spider-Verse, a great new animated film that focuses mainly on Miles Morales. That being said, the Spider-Man suit that Peter B. Parker wore in the movie did actually get added to Marvel’s Spider-Man as the final costume to unlock in The City that Never Sleeps: Silver Lining DLC. 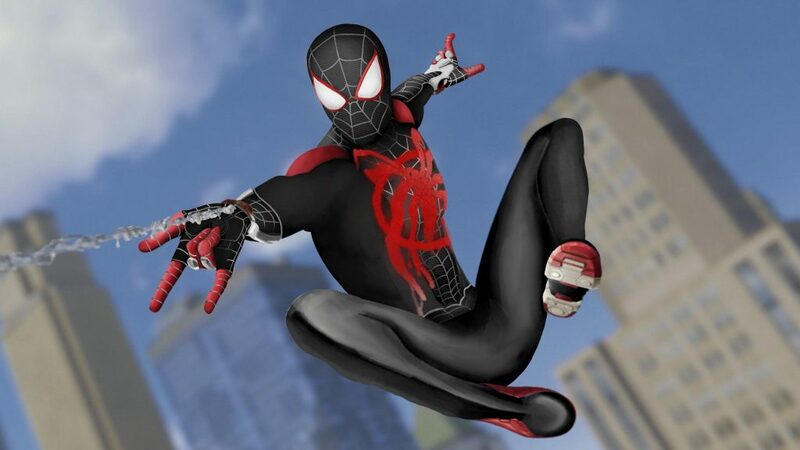 As the ending of that DLC seemed to suggest that Miles will be going full on Spider-Man in the sequel, I can’t wait to see what his actual suit designed by Insomniac Games themselves will look like. If you’re more interested in what suits are actually coming to the game, Marvel recently teased that something “Fantastic” is coming to Marvel’s Spider-Man. Here’s hoping for either the Bombastic Bag Man suit or a Future Foundation one! As for what suits have come to the game recently, a suit based on Sam Raimi’s Spider-Man films was added; sadly, we will not be seeing a suit based on the sub-par The Amazing Spider-Man films. Sandevi also created a time-lapse video to showcase how they created this Miles Morales suit, so you can check that out below. Marvel’s Spider-Man is available exclusively for PS4 and can be picked up right now on Amazon.